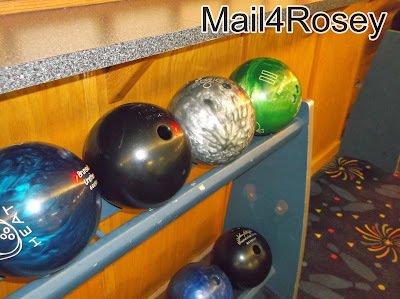 Mail4Rosey: Are There Any Bowlers in the House? Disclosure: We were sent a product to help facilitate the review. All opinions stated are genuine and our own. My husband is one of those guys who is good at sports. He's a sports' nut from way back in the day (long before he met me), and earned a scholarship to college from his baseball playing (though he didn't end up using it). He's not overt about his talents either...in fact, he's one of the most quiet guys you'll ever meet. It is a strict contrast to the rest of us in the family who talk smack to one another but are only average with our sports. He likes loves football, baseball, hockey, basketball, golf, bowling, you name it. Even at our age, and we are definitely no longer Spring Chickens, I've seen him throw from right field to home plate without batting an eye; turn in a golf score that would make a semi-professional nervous; and bowl an almost perfect game. Bowling, in fact, is something his whole side of the family is good at, and that's fine by us because it's is a fun activity we all do. Very recently we were sent a pair of Elite Atlas Bowling Shoes from BowlingShoes.com, so we headed to town to give them a whirl at the bowling alley. 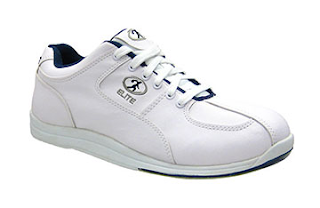 Know too, as you continue reading, that BowlingShoes.com has a large collection of shoes, so if you are not fond of these (gasp!) :) there are bound to be shoes you do like on the website. I like the Elite Atlas bowling shoes because they look like running shoes. Hubby liked them because they felt good. In fact, he said they were way more comfortable than his other bowling shoes...shoes he's had at least ten years! He was delighted to get a new pair, and now he wants to get the same pair for his dad for Christmas. I think that's a great idea (pretty sure it's been awhile since his dad got new ones too). We had a lot of fun, though hubby's screen often said 'strike' or 'Great Shot' and ours did not (the screen must have been broken when it was our turn, hehehe!). He smoked us, but that's okay, we had a lot of fun. We always do when we're out bowling. 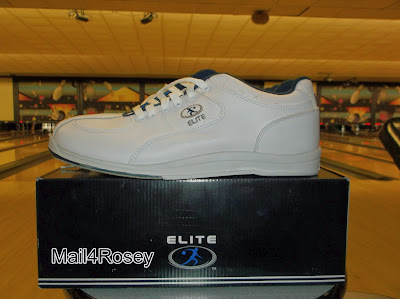 If you're still out and about shopping, and there's a bowler on your list, I highly recommend purchasing bowling shoes from BowlingShoes.com. My husband's not big on compliments unless he really means them, and he gave these shoes more than one. That's a big deal in our house. You can learn more about BowlingShoes.com and all of the great shoes they offer, by visiting their website. My boys love bowling, but I almost never bowl with them because those rental shoes skeeve me out. Ick. Those shoes your hubby got look awesome! I haven't been bowling in forever but my kids just went the other day and they loved it. Maybe if I had my own shoes I'd go! That is my beef about bowling. I can never find comfortable bowling shoes. Those shoes also look very stylish. That's a great review. I do enjoy going bowling. My brother-in-law was a major bowler. I had to laugh when we went as a family. I won. I kind of felt bad that I did. The poor guy hasn't been able to bowl much since they had Emerson. Question: Is bowling a game, or a sport to you? Ah, the age old question. :) I know there are many who would argue, but I qualify it (and golf too) as a recreational sport. Please send your hubby here! I love to bowl, but nobody ever wants to go with me. Sure, the kids love it, but I want to bowl against someone that actually challenges me in the game hahaha! The shoes are much more stylish than the ones you can rent, that's for sure! I love bowling!! I haven't been in about a year, and need to find an alley where we live now that is great! 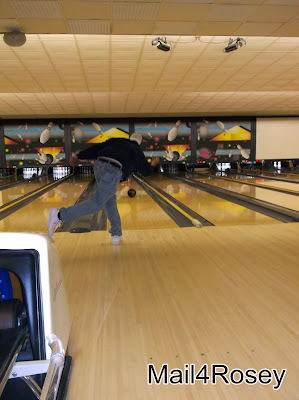 I come from a long line of league bowlers, but I am not so good. My family is just like how your husband acted! My dad would love these. 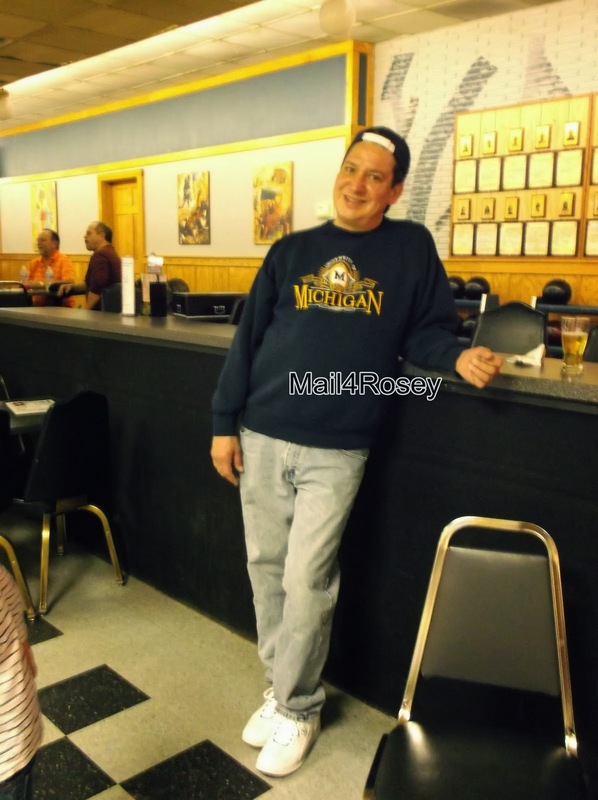 He's recently gotten back in to bowling and often talks about his great bowling shoes from way back when, and how he hates the rental shoes. I used to belong to bowling leagues and actually used to go bowling with my Dad when I was young. I no longer can bowl due to a bum ankle and now arm (of course the one I would throw the ball with)-I would have loved to have had a pair of these shoes back then and will check out to see what other shoes they have. I love to bowl, I always bowl with the kids though so I have an excuse for bumpers. Finding good shoes is hard if you rent them, I prefer owning my own. That is one reason I never liked to bowl--having to rent shoes. It kind of grosses me out. We are not very good but love to bowl as a family. I love the review. 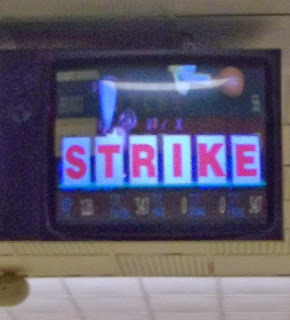 I know what to look for next time I go bowling. oh i have fad fun at the bowling alley...dont let that fool you, i am no good...but i've had fun....midnite bowling with glow in the dark balls, now that is fun...smiles. I have never been bowling in my entire life! Unless you count those little plastic toy sets. I love bowling and never get to go enough! And when I do go, I have to rent those very ugly bowling shoes! And who knows whose feet has been in there! This is a great gift idea for bowlers. I actually took a bowling class for two years in high school and I know that all of the serious bowlers would love these items. I love bowling! I might just take my family today! 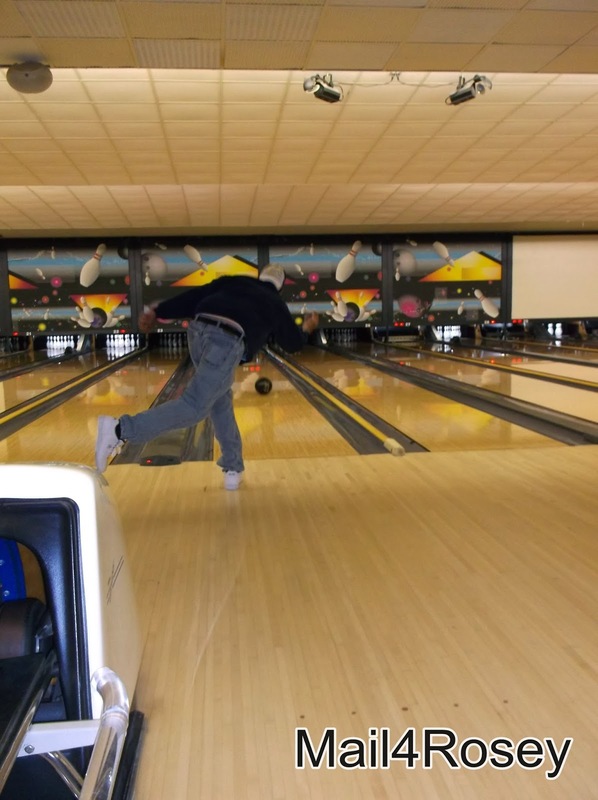 I took bowling one semester in college. It's so fun :-) Those shoes are way better than the old grundgy ones you get at the alleys. I wish it was that simple. My husband is a bowler so much so that he if he's flying home he will ship his bowling balls ahead of time - just like men travel with golf clubs. He is picky about his gear - I could never buy it. I have tried and been asked, "Do you still have the receipt?" The last time I went bowling it was with my daughter and granddaughters - about 3 or 4 years ago. We had a blast! 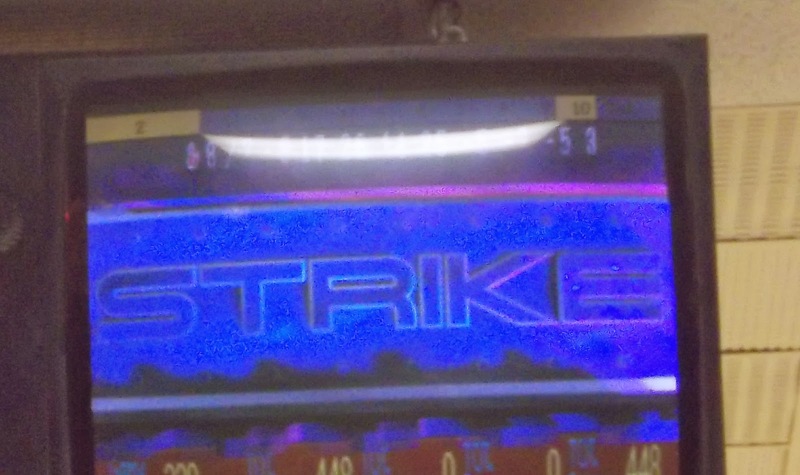 I'm a terrible bowler, but I'll admit that it probably at least partly stems from the fact that I don't really try. Elliott really likes to bowl, so we usually go quite a bit during the winter, when it's too cold to do anything outside. We take one or two of his friends with us about half the time, and even they comment about how the can score at least almost as good as me even though they are only seven. Haha. I have not bowled in years, but these bowling shoes for only $29.99 are such a nice pair for hardly any money. 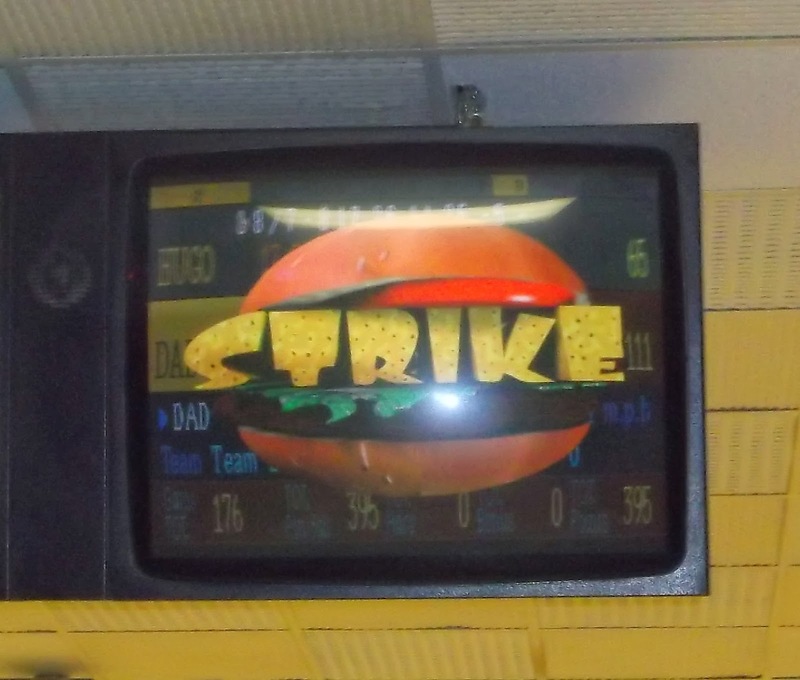 Bowling is a lot of fun, and I need to go again! I would like to take my sister with me! It is always nice to wear something comfortable when doing sports. The shoes really looks comfortable. These are definitely not your granddad's bowling shoes. Very comfortable looking. As someone who is horrible at sports, I envy your husband's abilities! I'm not good at bowling either, but it's a lot of fun! 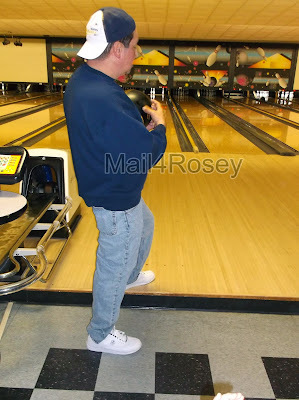 How awesome that he got to wear some good bowling shoes. The ones at the bowling alleys are kind of cute in an ugly way, but so many feet have been in them! Haha. My kids love to bowl and those look like a nice pair of bowling shoes. Your hubby did well! It is a fun way to get exercise & just be with friends. I do not go bowling much these day, but I think $29.99 is a very good price for this type of shoes. Looks like a lot of fun Rosey. I have never played this game but I have always been fascinated by it. Great pair of bowling shoes. I love bowling, but i'm not very good at it! Snazzy bowling shoes! They look comfortable. I go bowling with the kids a lot during the summer. We just do it for fun because good bowlers we are not. lol My favorite part is when the turn on disco lights & music at night. I feel like a kid again partying at the club. You made me giggle about your broken screen. I think I shall say that when we go bowling with the hubs too. I have gone bowling with my friends but I wouldn't call myself a "bowler". 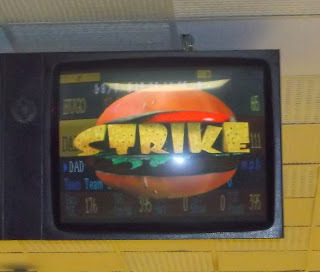 I did have a good time that time I went bowling, maybe we should do it again. Love the shoes.